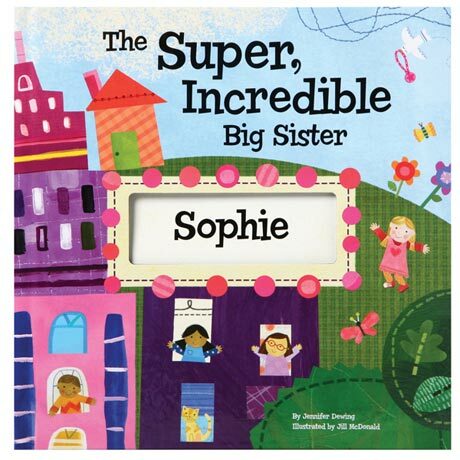 Make a new big sibling feel special. Every page is personalized with the name of the big sister and the new baby. 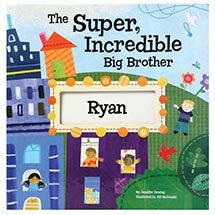 The book tells older siblings how much they are loved and appreciated; the medal rewards them for helping out and being a superstar. Specify first name and gender for both sibling and baby. Finished book is hardcover, 20 pages. Allow 3 weeks. No rush delivery or gift box. Ages 0 to 8. Item can only be shipped within the Continental US.